The Symphony Acryl Grand Chromatic offers an inimitable sound and a tonal range of four full octaves (C3-C7) and is suitable for many musical genres ranging from classical music to jazz. The high-quality, contemporary ergonomic design guarantees longevity and maximum playing comfort. 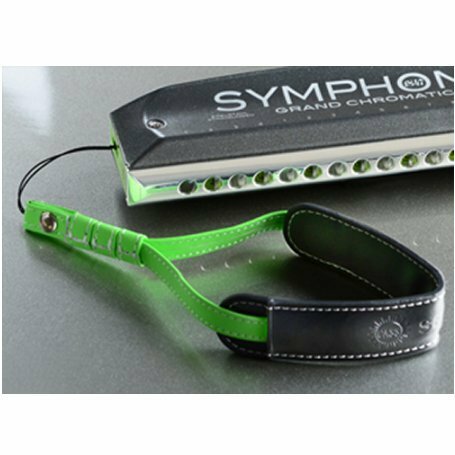 The Symphony Grand Chromatic Acrylic has a transparent-green acrylic body and half-moon shaped mouthpiece. 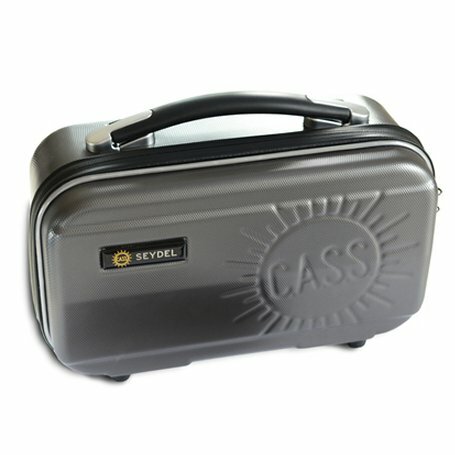 It comes with two sliders ( standard and professional). The openings of the standard slider are 25% larger. The sound is full and loud. 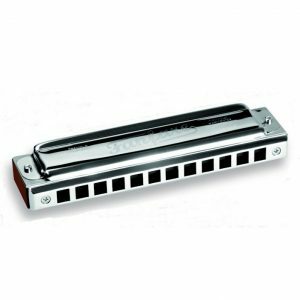 The professional-slider has a 2mm shorter action and is optimised for excellent tone control especially if you play soft pieces at lower volumes. The slider can be changed easily and quickly. The precisely-fit, stable slider, made from 1mm German Silver, has an ergonomically convex-shaped, silver coated slider button with soft surface for the finger. Each slider is individually lapped together with the mouthpiece and works therefore very silently and is extremly airtight. 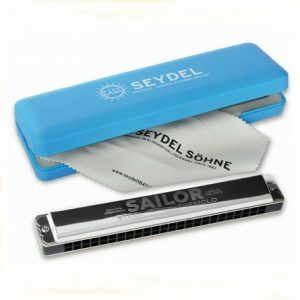 This harmonica can be serviced very easy by unscrewing only one single screw on the back of the comb and pulling the slider out for easy cleaning. The recessed reed plates (1mm) are precision cut from anti-corrosive German silver. 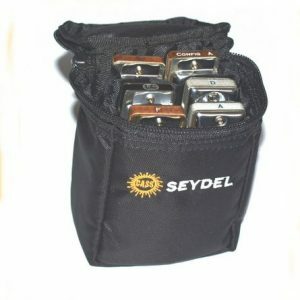 Hand-tuning of the 64 stainless-steel reeds, tight tolerances, and newly developed Seydel valves (with less adhesive than conventional valves) create an instrument with precise tone control and a rich sound with a tonal range of four full octaves. 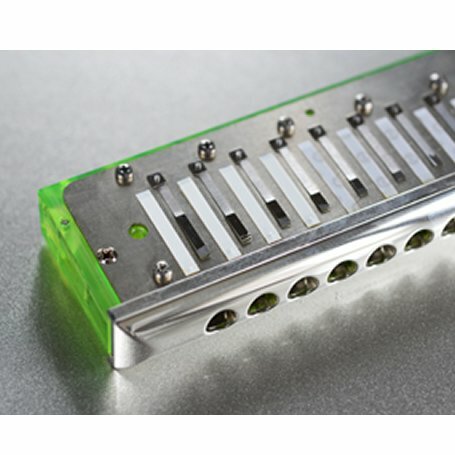 The recessed reed plates are mounted with stainless steel screws and screwed on individually. Solid, die-cast, coated aluminium cover plates are screwed on individually providing a design that is widely-opened at the back for a balanced feel and dynamic, full, warm sound projection in all four octaves. 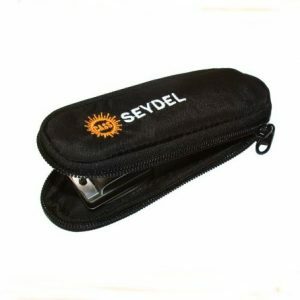 The harmonica comes with a carrying strap, made from genuine leather and can be attached to either side of the harmonica. The Symphony Acryl Grand Chromatic offers an inimitable sound and a tonal range of four full octaves (C3-C7) and is suitable for many musical genres ranging from classical music to jazz. 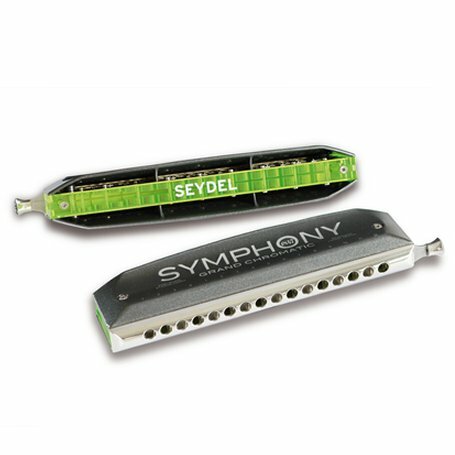 The very airtight Symphony offers endless possibilities of expression and marks a new dimension in manufacturing harmonicas.